I'm not the biggest fan of summer. I don't cope well in extreme heat. It bugs me, makes me cranky and I hate feeling sticky all the time. Luckily for me, London summers allow for some relief as we get a bit of everything from torrential storms to Mediterranean heat waves. And this summer has seen me get my glow on like I've never gotten my glow on before. So despite which version of summer we are having, my face has been looking dewy and fresh and glowy and bronzed and all that good stuff with the help of some fabulous products. Firstly, we should all know by now that a solid skincare regime that works for your skin and your lifestyle is of the utmost importance. When you have radiant, clear skin, you automatically look more youthful and healthy. The products I mention will work for almost anyone but will look more fabulous if you're looking after your canvas properly. If you'd like some reliable, affordable skincare recommendations, then check out my Best Of Drugstore/High Street Skincare post. For a dewy base to kick start the glow, I like to apply a light-reflecting primer all over my face which I have to pair with a mattifying base as my skin is quite oily in the summer. Botanics All Bright Radiance Balm | post | £5.99 is a pink liquid with a fine irridescent shimmer in it that becomes a transparent layer of sheen once blended out. It gives my face a clean, healthy glowing look and makes a lovely primer too. I sometimes wear this alone and powder my t-zone as the day progresses for an all-over bright, glow. For a more obvious sheen there's L'Oreal Lumi Magique Primer | post | £9.99 which is an intense white liquid that makes the face look radiant in an artificial but beautiful way. Once I've applied my foundation over this, my complexion is instantly youthful and I love that it can also be used as a liquid highlighter on the high points of the face. If I'm not using a light-reflecting primer I like to reach for a base that is light-weight on the skin, offers a decent amount of coverage and has that dewy finish that most of us covet from the magazines. 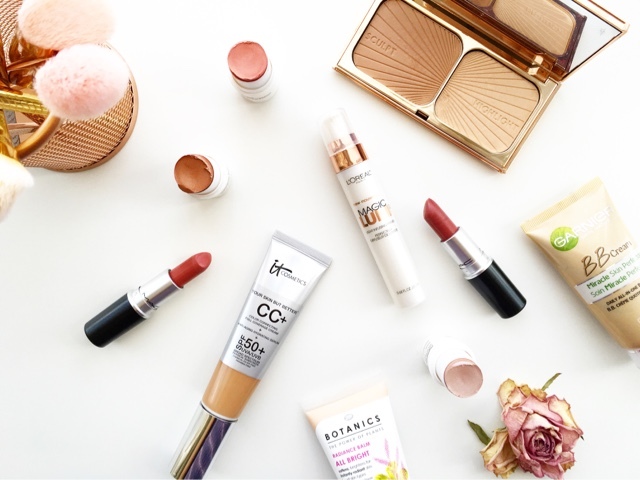 It Cosmetics Your Skin But Better CC+ Cream | post | $38 is a great option for the summer as it feels like nothing on the skin but packs a punch when it comes to pigmentation. This can cover anything and everything and all the while leave the skin looking radiant and fresh. I have to powder this and often as my skin is so oily at the moment but on normal/dry skin types it will be perfect for that summer glow. 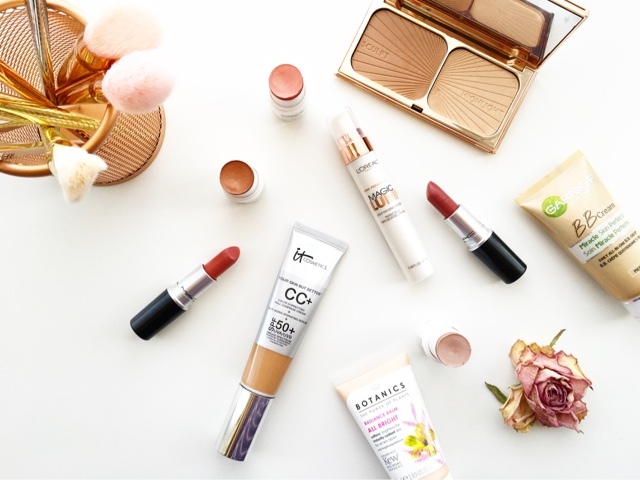 I tend to reach for Garnier Miracle Skin Perfector BB Cream | post | £9.99 a lot which is one of my most reliable base products as it does a little bit of everything and very well might I add. The gel like consistency feels fresh and light on the skin, it never feels or looks cakey and doesn't ever really set completely making it appear fresh on the face. When lightly powdered, it still has a sheen that is flattering and glow boosting. A beautiful new product which has shaken my fear of shimmer on my face is Natural Collection Highlighter Sticks* | £1.99 which comes in three shades and creates an undeniable glow. These cream sticks have a lovely formula that glides on easily without disrupting makeup, can be blended with ease - I use a synthetic blending brush and lightly work it in - and can also be patted on eyelids for a super shimmery look. 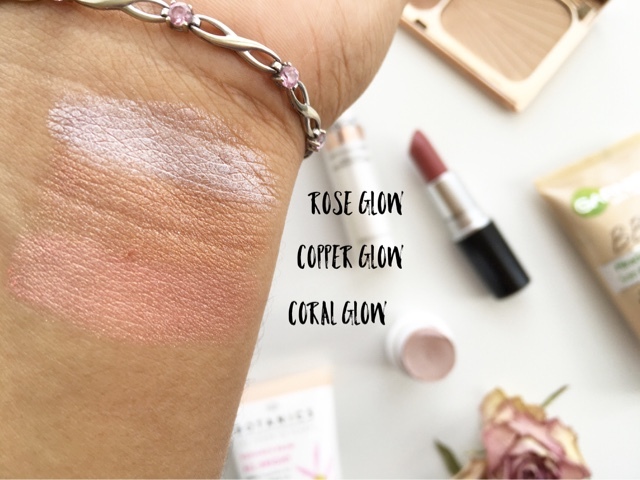 Rose Glow makes an excellent highlighter for the cheekbones, Copper Glow is a beautiful bronzing shade that can also be used as a shimmery blusher on my complexion and Coral Glow is a gorgeous peachy pink with a gold shimmer running though it. I have used these altogether and the effect is stunning. My preferred way is to blend Copper Glow and Coral Glow along my cheek bones and use a light matte powder bronzer to blend them out and use my finger to tap a little Rose Glow along the tops of my cheeks for an added glisten. The sheen from the shimmer looks almost wet and the cream formula helps make it pop on the skin. These are great if you're not afraid of highlighters and shimmers on your skin. I was tentative about the bronzing/sculpt shade when I bought Charlotte Tilbury Filmstar Bronze & Glow | post | £49 as I wasn't sure if it would even show up on my skin tone but I am so relieved it does and in a lovely way. I couldn't use the shade for obvious contouring or anything like that but for a discreet sculpting effect and for a beautiful sun-kissed glow, it is perfect. 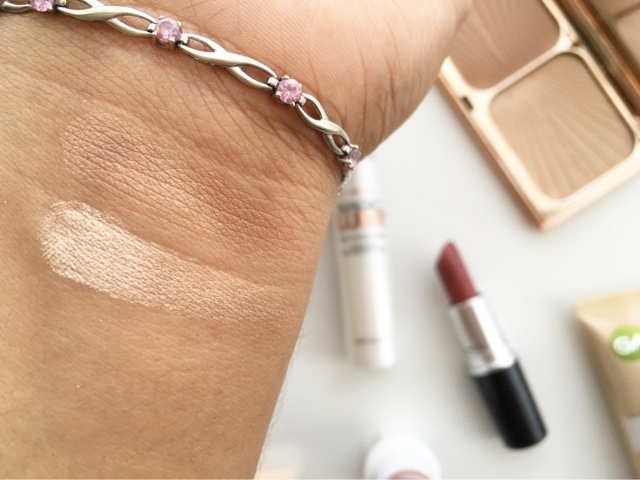 You can see that it just about shows up on the swatch on my arm, which is slightly more tan than my face, and with a full face of makeup it creates a gorgeous bronzed look that doesn't take the limelight away from anything else. Especially not from the accompanying highlighter whose beauty is almost indescribable. This screams summer glow to me and is incredibly finely milled, and can be applied lightly or packed on to create an illusion of a wet sheen. I also wanted to include some lipsticks I'm enjoying with my more dewy, fresh looks as I feel like I've strayed away from mattes more now than ever before. 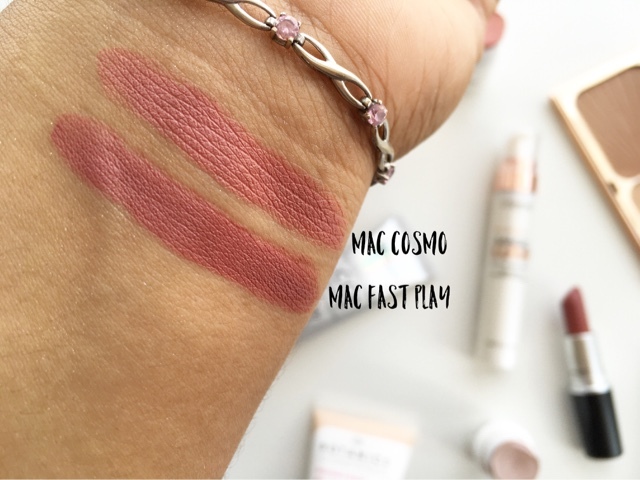 MAC Amplified Lipstick - Cosmo & Fast Play | £15.50 are very similar shades and equally perfect for brightening the complexion in these warmer months. The Amplified finish is pigmented and creamy and the lips look plump and shiny without looking glossy. I love that they add to the glowy look and help create an illusion of radiance even on the lips. Cosmo is lighter and has a touch of peach in it while Fast Play is similar to most other lipsticks I own - that pink you can't go wrong with. * This post contains a press sample but all opinions are honest and my own. Please see my Disclaimers for more information.